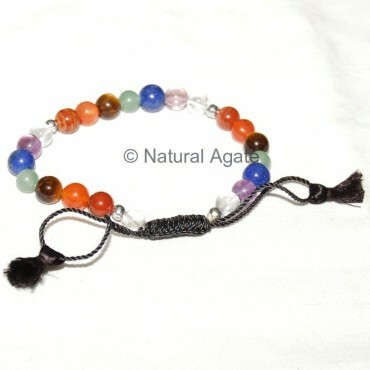 Drawstring Bracelet in Chakra Stone keeps your body, chakra and aura clean and energetic. It can be adjusted using drawstring. It is available on Natural Agate.